Back in February we reviewed the debut single Funn from London electro-pop duo Cash+David. The single went top 10 on Hype Machine, was championed by Lauren Laverne on 6Music, and accompanied by a video featuring their namesakes David Bowie and Johnny Cash engaged in a terribly serious-looking dance battle. Based on the song’s title and the track being less than two-and-half minutes in duration, one may have expected Funn to be a formulaic pop tune. However, its darkened electro-pop sat comfortably alongside Chvrches and Phantogram and featured a surprisingly complex arrangement. In fact, instead of a traditional chorus, Funn featured a crunchy and catchy guitar riff instead. Now the duo is preparing to release their follow up single, Pulse and what an intriguing and brilliant little tune it is. The opening seconds hint at a moody post-punk song with its atmospheric, guitar line before a house-beat and bass loop enters and the song quickly steers into Tycho-esque territory (read our review of Tycho’s excellent Awake album). Before you know it, the chorus is upon us and this is where the magic happens. The funky, singular guitar lines and cut-up vocal during the chorus somehow give the song an 80’s pop vibe and despite the words being indistinguishable, its hooks latch on in big way. An effortlessly cool female vocal is introduced for the verses while continuing to keep listeners on their toes, an East Asian melody briefly appears for the pre-chorus before we arrive back into the funk-driven chorus, this time with a layer of kitschy synths sitting atop. Just try defining Pulse; is it indie-rock fused with disco and house? Electro-pop? Who knows! Tip: press play and repeat several times in succession and you’ll discover that Pulse is a pop tune in disguise. Per the press release: the duo complements each other with their different approaches to making beat laden experimental pop music. From David’s logic sketches and Cash’s pro-tools dexterity came a flourish of indie guitar, house beat, world rhythm, tribal rock and trashy pop tracks. Cash is grammatical, adding sparkle and clarity to synths, locking rhythms and eloquently programming David’s scruffy, distorted, trashy guitars and Eastern world music patterns. 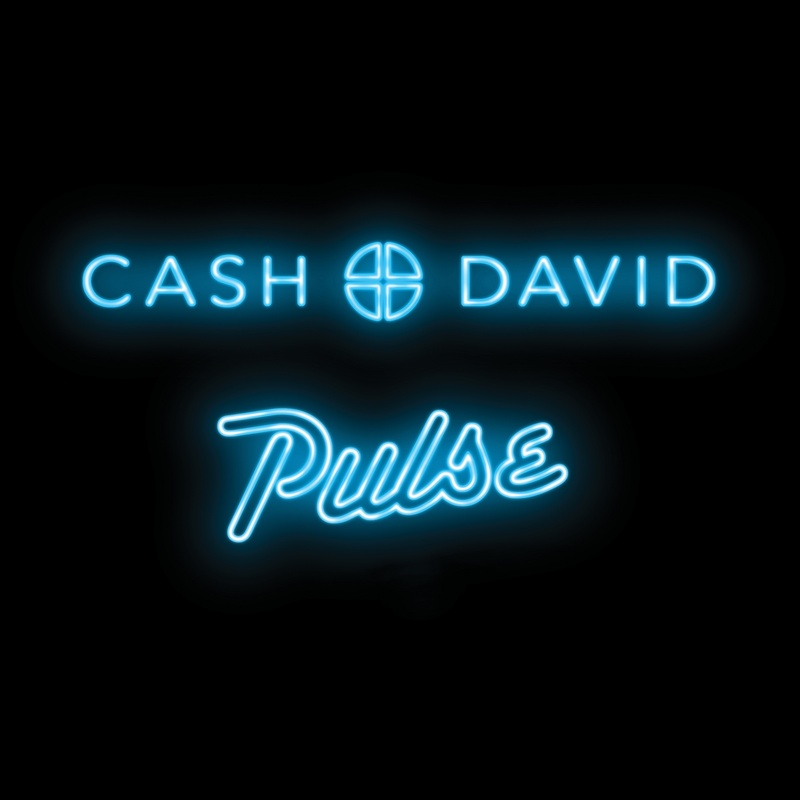 Pulse will be released as a single on 9 June, 2014 through Cash+David’s own label, +.